416. 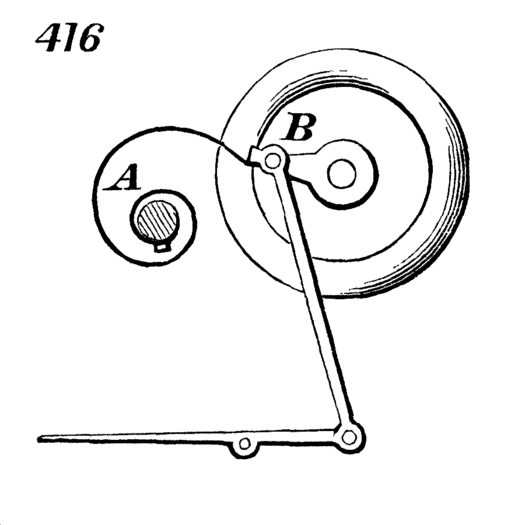 A device for assisting the crank of a treadle motion over the dead-centers. The helical spring, A, has a tendency to move the crank, B, in direction at right-angles to dead-centers.